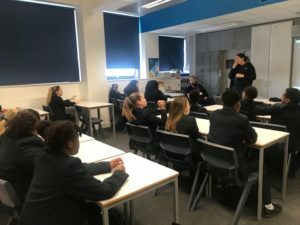 Thursday 31st January was Year 8 Impact day. 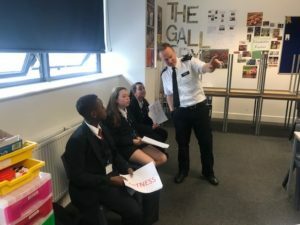 All students in Year 8 spent an exciting day taking part in a variety of workshops, which started off with a launch assembly by the London Fire Brigade. This explained the role of each organisation they would be learning about during the day and helped set the scene of their importance in our current society. 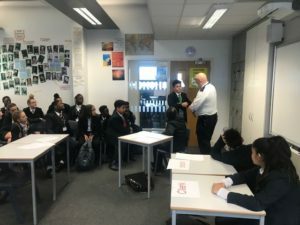 The students then joined a carousel of presentations and activities by several different organisations including The Metropolitan Police and Specialist Firearms command where they had the opportunity to take part in a court room role play. They also took part in an active session about Road Safety and took part in a quiz ran by the NHS Sexual Health team. Their final session was with Valour Youth who highlighted the significance of Self Esteem and ASB. 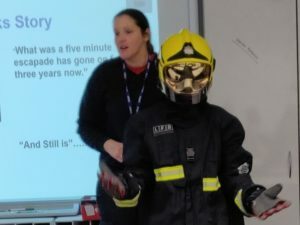 Students thoroughly enjoyed the day, taking the opportunity to ask lots of excellent questions as they watched real life visual clips, and even had the opportunity to dress up in fire fighters outfit! The post Impact Day appeared first on The Quest Academy.